The Ohio Foundation of Independent Colleges works with businesses to provide scholarships to liberal arts schools like Bluffton University. Rob Twitchell knows the value of an education from an independent college in Ohio. Twitchell, the COO of Reliant Capital, an accounts receivable management company headquartered in Gahanna, Ohio, graduated from Ohio Northern University, an independent university located in Ada, Ohio. 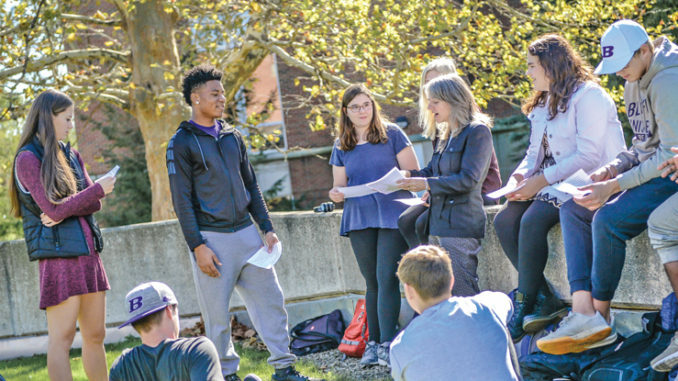 That’s one of the reasons Twitchell says Reliant Capital recently decided to make a donation to The Ohio Foundation of Independent Colleges to fund three renewable scholarships for students attending one of 33 independent colleges and universities in Ohio. 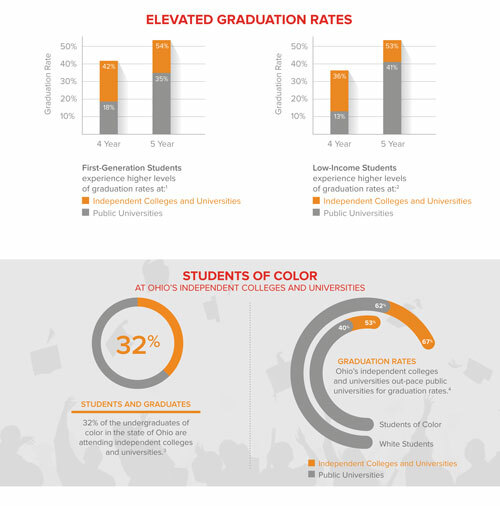 The only stipulation for the scholarship is that students preferably live in Franklin County and contiguous counties, since that’s where Reliant Capital is located; they should major in business, communication, finance or marketing; and must meet the academic standards of The Ohio Foundation of Independent Colleges and demonstrate financial need, says Twitchell. He says Reliant Capital does everything possible to help people resolve their distressed loans so they can get back on with their life. “We just want to make sure that we participate in every phase of this by offering scholarships and helping people make it more affordable and hopefully people don’t end up as our customers,” Twitchell says. Making a donation for scholarships is important to Reliant Capital because the money is being used to make a difference in students’ lives, he says. “I’m personally a big fan of a liberal arts education and I’ve seen the value of it in my own life. “I realize that there are some people that might be on the edge of being able to afford attending one of these schools,” Twitchell says. 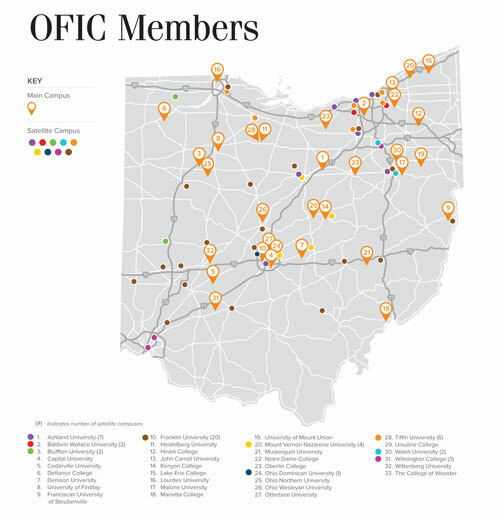 Scholarships through The Ohio Foundation of Independent Colleges gives companies access to the state’s future workforce. 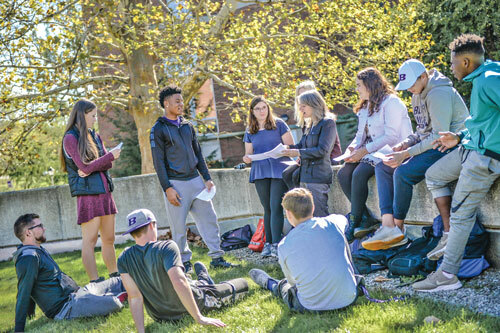 It’s that personal touch that has elevated The Ohio Foundation of Independent Colleges, the national leader in providing unrestricted gifts and student scholarships to Ohio’s independent colleges and universities since its founding in 1950 to now, says Bill Spiker, president of the organization. Until 1986 the group raised money through corporate donations for general expenses at its member institutions, he says. But The Ohio Foundation of Independent Colleges started raising money from corporate donors specifically for student scholarships at member institutions in 1986. “I like to say we dipped our toe in the water in 1986 and then today we’re up about chest high,” says Spiker. Today, about three-fourths of the money the group raises is distributed back to its member schools in the form of scholarships, he says. The scholarships have been successful because corporate officials like to know where their gift is going and what their money is supporting, Spiker says. Twitchell agrees with that assessment. 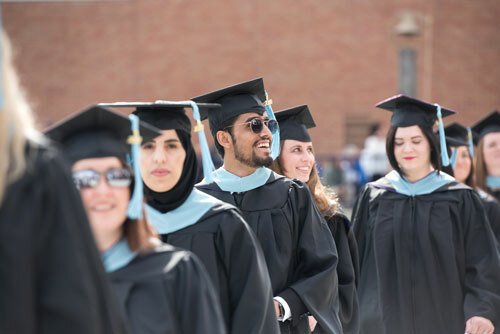 “I really can’t stress enough that the money for The [Ohio Foundation of Independent Colleges] goes right to the student so we’re getting the money right to the point of need, which I think is pretty critical,” Twitchell says. Corporate officials can even get introduced to a scholarship recipient and that may lead to a new employee upon graduation, he says. “Students may have a choice as to where they want to start their career and if a company has stepped forward with a contribution to help reduce the cost of attending a member school then that student may look more favorably on joining that company,” says Spiker. “So it’s a way of establishing that relationship,” he says. The scholarships provided by The Ohio Foundation of Independent Colleges are creating a talent pipeline for corporate Ohio, says Spiker. “The reason we exist is to raise money from corporate Ohio, return it to the students who are attending the member campuses, making their education affordable and creating a future workforce for Ohio,” he says. 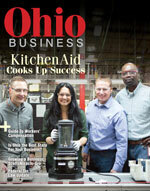 That, in turn, may help keep Ohio’s economy strong and growing. Twitchell says it’s well documented that Ohio is going to face a shortfall of qualified workers in the very new future. By providing scholarships to students with financial needs businesses are making it possible to address that shortfall of qualified workers, he says. Spiker agrees that keeping qualified workers in Ohio is important to the economy and says the scholarships offered by his organization are creating a talent pipeline for Ohio business. Twitchell succinctly sums up the scholarship program and its importance to the state’s economy. “I think by participating in this [scholarship program] we’re making the Ohio economy better, which benefits us all,” says Twitchell.